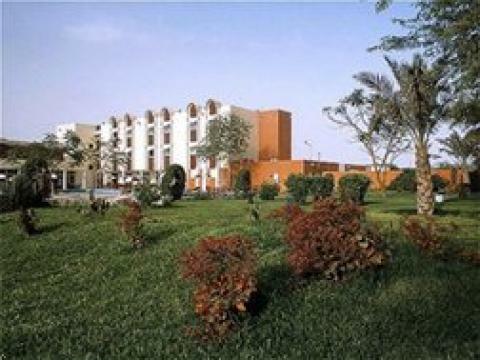 Just five minutes from Nouakchott International Airport and a busy business district, it also bosts a restaurant, bar, gift shop, and 120 person conference center. From airport, take Ave Gen. Nasser. Hotel located across from post office.